It’s the million dollar question… How much money is your place worth as a short-term rental on Airbnb? In this article, I show you how to evaluate your local market. 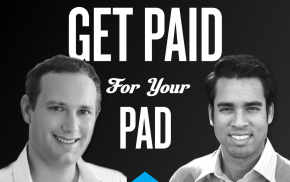 I also provide Airbnb pricing tips so that you can maximize your rental income. About 60% of your potential income comes from the intrinsic value of your property, location, and amenities. The other 40% is dependent upon implementing an effective Airbnb pricing strategy. Your strategy should take into account the fluctuating demand for your property throughout the year. Airbnb allows you to set different prices for any given day. In order to maximize your revenue, you want to take advantage of this flexibility. Let’s start by determining the value of your Airbnb listing. You can use Airdna to get a full market intelligence report for your area. The report includes daily rental demand, data from top performing properties, and tips for optimizing your listing. Using this report is the fastest way to determine the optimum price for your listing. However, if you’re not ready to invest in your Airdna City Intelligence report, you can estimate your property’s market value the old fashioned way. The following is a step-by-step system to assess your listing’s optimum Airbnb price. 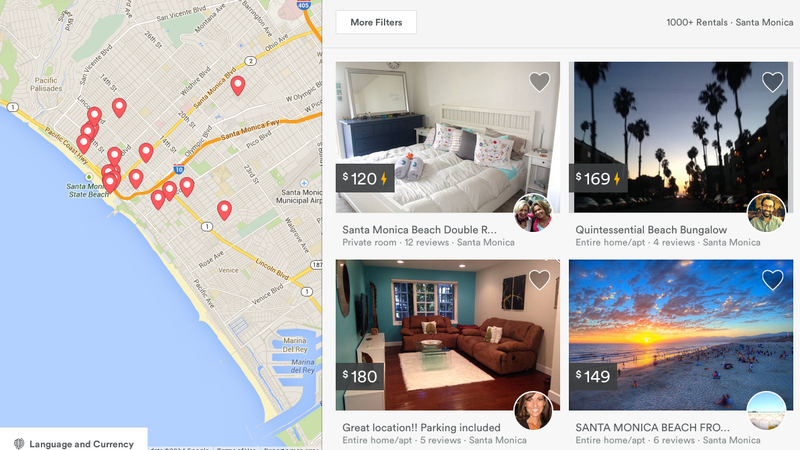 Use the standard Airbnb property search tool to look for similar properties in your area. Limit your search to listings with the number of bedrooms and maximum number of guests that your place can accommodate. If a property is already booked it will not show in your results. So search for dates 3-6 months in the future. Make the length of your stay at least three days and less than a week to get as many results as possible. Center the map on your property and zoom all the way in. Now slowly expand the map until you have between 10 and 20 properties showing. Select the five properties that are most comparable in terms of size and quality. Also focus on listings that have the most reviews. Hint: When possible, identify listings with at least ten reviews. As established hosts, they will be charging full market price. Write down the listing number for each property. Investigate the calendar for each property. Determine the price and estimated occupancy rate of each listing. Note: if a date is unavailable, then this can be for one of two reasons. Either the property is booked OR the host has manually blocked the date. Some hosts rent out their property on a part-time basis. These hosts manually block out the dates that their listing is unavailable. This makes it difficult for you to establish the true occupancy rate for a given property. For this reason, I recommend looking for properties with limited short-term availability that also have at least 2 reviews per month. The combination of these two factors indicates a high occupancy rate. The ability to calculate accurate occupancy rates is one of the advantages of Airdna’s market intelligence reports. Airdna has developed technology that allows for accurate identification of blocks of unavailable dates as either booked by a customer or blocked by the host. How many bookings do they have for the current month? Are they increasing their prices over the weekend? Do they offer a weekly or monthly discount? Are they changing their rates according to the month/season? What furnishings and features do they include? Create a table to compare the prices of each property using the information you’ve just gathered. Use this table to create an estimate of the maximum revenue per unit. For Property #625267, let’s assume that peak season and off-season are both six months, or 26 weeks. Use the following formula to estimate the most that property can make in the year. Now let’s look at some additional Airbnb price tips to help you further increase your revenue. If you are a new Airbnb host, I recommend you discount your nightly rate. Price your place 25% under your estimated market value. Then slowly increase your rate as your listing starts to receive positive reviews. Also don’t trust Airbnb’s “suggested rate.” They have not refined their analytics to a point where this tool is helpful. For example, the tool suggests that I price my apartment for $139, but my average daily rate is closer to $225. Tip: Get a calendar of local events from your tourism bureau and jack-up your rates for popular events well in advance. Eventbrite is also a good place to search for events in your location. Find out what other properties in your area are charging for big weekends. But don’t assume they have as much foresight as you. Hold your prices high later than usual. Many last minute planners have the most money to spend. Lastly make an effort to research special events at the beginning of each year. Take a look at a city website or events calendar for your neighborhood. I’ve had guests book my apartment over a year in advance, so make sure you don’t wait until the last minute to adjust your prices. The advertised rate is the rate Airbnb publishes on the main page of the search results along with your lead photograph. If there are no travel dates selected, Airbnb displays your base rate. Trick: Make your base rate EXTREMELY LOW, about 20% off your actual rate. This is the price that’s displayed until someone selects your listing. 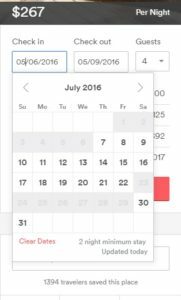 When a user selects your place and specifies travel dates, the actual price for those days will be calculated. If your listing is a bit more than they wanted to spend, but they LOVE it… they will still book it. The classic bait and switch tactics are alive and well on Airbnb. I’ve interviewed successful host with 50+ properties that profile travelers from wealthier countries and jack the rates up AFTER they receive reservation requests. Morally, I don’t believe in changing prices after a booking has been requested. However, I do recommend ensuring your advertised rate is never higher than your actual rate. 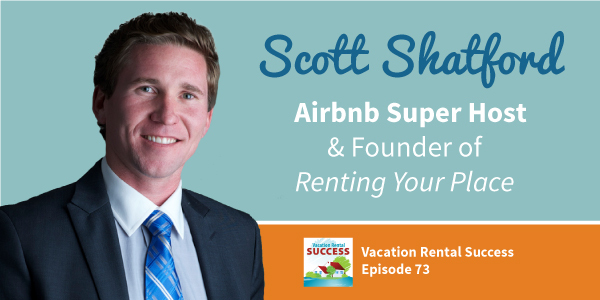 We’ve discussed how to establish your property’s market value and shared some Airbnb pricing tips. Now, review the sections on fees & deposits and occupancy rates to learn how to further maximize your Airbnb earnings. 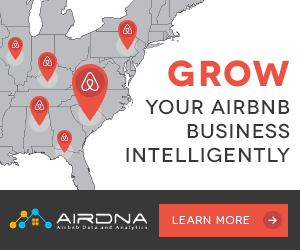 If you’d like to see how the experts price their Airbnb listings then also visit airdna.co. In January 2016, Airdna announced Airdna Pricing Copilot. This is a new tool that shows you exactly how your property stacks up against current supply so that you can price like a pro.